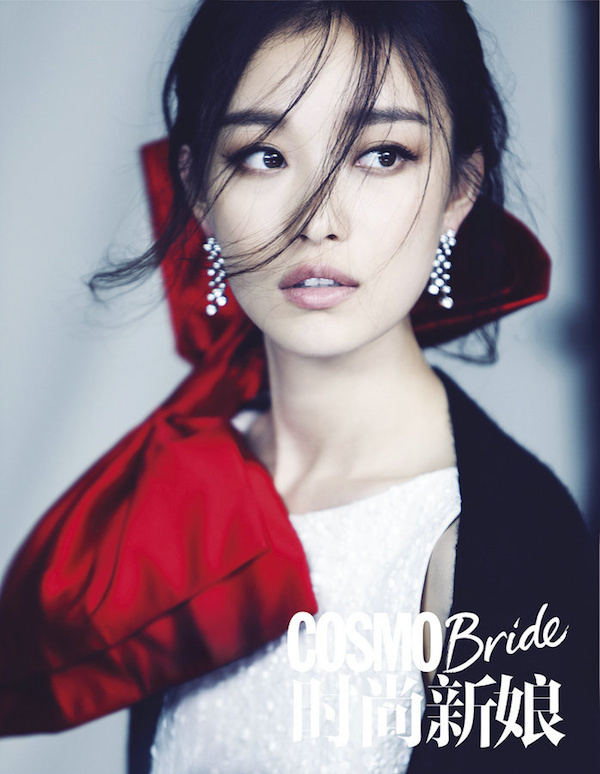 Ni Ni is absolutely ravishing in the October issue of Cosmo Bride China which is also the magazine's 7th anniversary edition. The makeup and styling is a stunning play of contrasts throughout this pictorial and each image evokes a uniquely beautiful tone. I'm only familiar with Ni Ni's work as an actress in Zhang Yimou's The Flowers of War alongside Christian Bale but she is like a breath of fresh air every time I see her in an editorial. It comes as no surprise that she has appeared on over 16 covers this year alone. She recently teamed up with Angelababy for a Chinese remake of the 2009 comedy film Bride Wars starring Anne Hathaway and Kate Hudson. The two play best friends who become bitter rivals when their weddings are accidentally booked on the same day. I wonder who plays which role. The Chinese version will hit theaters next year. Did you watch the original? I seem to recall the two friends doing some pretty awful things to each other. 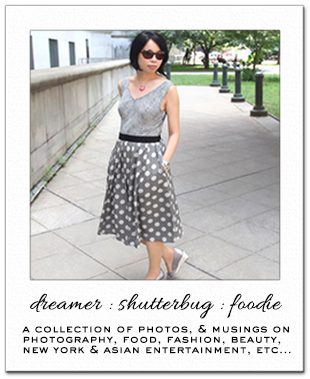 Don't miss out on this fab NYFW themed beauty box giveaway! Great styling indeed:) And no...haven't seen Bride Wars. Aside from Les Miz, not really a big Anne fan. I enjoy coming here & learning about the different celebrities you share, Rowena! Oh my! They looks absolutely lovely in this editorial! Am not that familiar with her but did come across her pics while surfing online. Have a lovely weekend ahead, my dear friend. These outfits are amazing and this girl is literally so pretty. Her skin is so so smooth and she's got a great figure. Jealous over here!! Wow she is so pretty and I love these. Amazing editorial she is gorgeous.Have a great weekend doll. changes expressions in each photo. Her eyes are so pretty and haunting. In a good way. serious eye candy indeed!! stunning! These photos are stunning! I love the first one as well as the one where she is wearing the lace dress and red gloves. She is a beauty!! 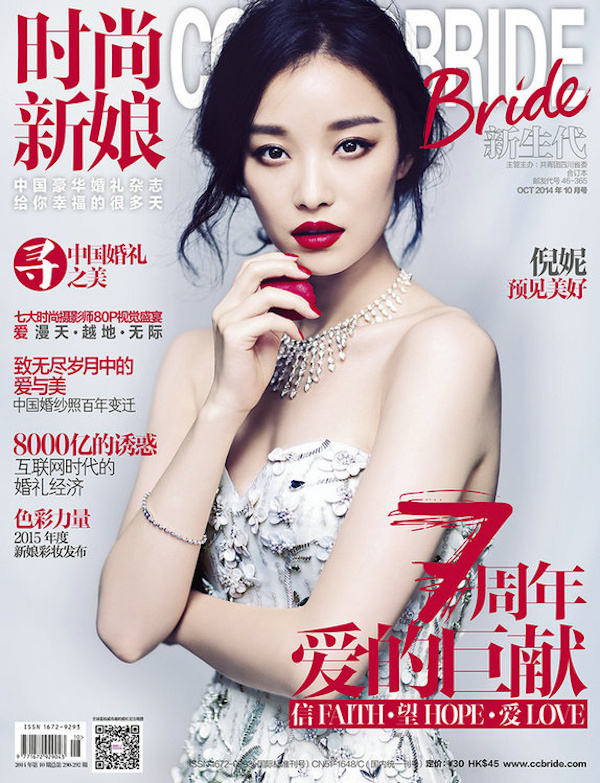 It's too cool they're making a Chinese "Bride Wars". I loved the American version. Absolutely spectacular!!! I had to stop after the first photo. She is so striking in all of these Rowena. Thanks for sharing! Holy moly!!! Amazing editorial. Ni Ni looks breathtaking. I think she's one of the most beautiful girls in the world. I haven't seen the original but I'm sure the Chinese version is going to rock. Have a happy Saturday Rowena!! Oh, what an amazing editorial. Love the first outfit. She is definitely beautiful! Love the the bride theme and colors so much. She is wonderful and these pics.... grgs!!!!! She looks absolutely stunning! What a beauty! So pretty and the most beautiful eyes. The first photo is absolutely stunning. I hope you have enjoyed your weekend. she is stunning, a natural and striking beauty! i saw the american version of the movie and was not impressed, but hopefully the chinese version will be better because it actually is a kind of cute story-line. 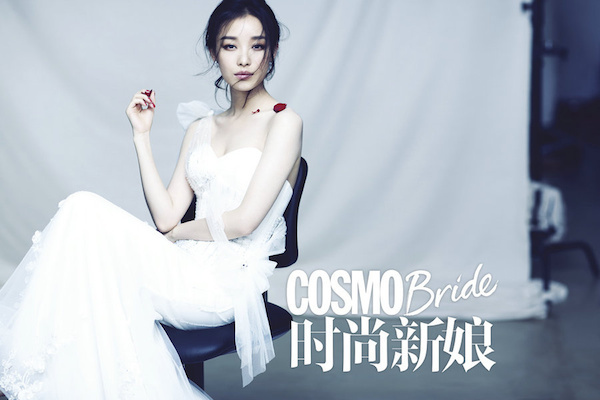 She's a real beauty.. something about her reminds me of Shu Qi though, cant wait to watch the Chinese version of Bride Wars! I did enjoy the original :D Hope you've been keeping well! so pretty. i never did see that movie, but must now look for it...and the chinese version!